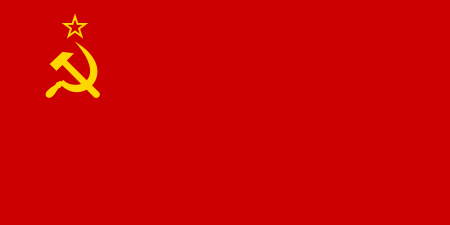 Generalissimus of the Soviet Union (Russian: Генералиссимус Советского Союза; Generalissimus Sovétskogo Soyuza), was a proposed military rank created on June 27, 1945, following the tradition of the Imperial Russian Army. It was granted to Joseph Stalin following World War II; however, Stalin refused to officially approve the rank. It would have been the highest military rank in the Soviet Union. This military rank was specifically created for Joseph Stalin. However, according to Stalin biographer Robert Service, Stalin regretted allowing himself the ostentatious military title, and asked Winston Churchill to continue to refer to him as a marshal instead. Stalin also rejected any kind of distinctions between his military rank and the other Soviet marshals, and kept using the original Marshal of the Soviet Union insignia and uniform like the other Soviet marshals. The matter about Generalissimus of the Soviet Union was mentioned again after the war, when a draft of a decree about the Soviet military ranks was presented to Stalin. Then, General Andrey Khrulyov – director of the General Department of Logistics – was given the task to design the uniform of the Soviet Generalissimus for Stalin to use in the victory parade on 9 May 1947. The uniform was finished and presented to Stalin one week before the parade. After examining it, Stalin again expressed dissatisfaction. Then he took hold of the decree about the Generalissimus rank and declared: "I will never sign this decree. The Soviet Red Army only has Marshal as its highest rank." Thereafter, the subject of new rank would never be raised again. ↑ S. M. Shtemenko. The General Staff in the War Years. Moskva. 1985. Vietnamese version (vol. 2) . pp. 587-588. ↑ S. M. Shtemenko. The General Staff in the War Years. Moskva 1985. Vietnamese version (vol. 2). pp. 587-588.